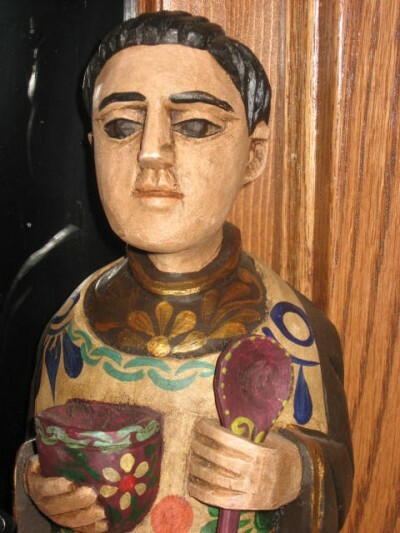 Not much is known about San Pasqual, nor how he came to be the so called kitchen saint, but (in the U.S.) it is thought to have first become a solid tradition in New Mexico. He was born on 1740 to very poor parents, and as an adult, joined the Franciscan order. So far in my limited research, there doesn’t seem to be a clear link to cooking. His feast day is on May 17th – the day of his death in 1792. Mr. E bought me this for me while at La Posada last weekend- who knew that he was aware of, and/or tuned into our needing a saint for our kitchen? Maybe it’s a hint…? 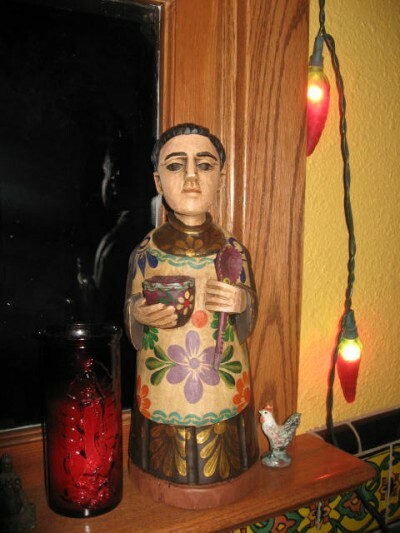 Our kitchen, since it’s remodeling a few years ago, has steadily become my winter paradise…and now, with our very own San Pasqual watching over it, who knows what wonders are to follow? For more slices of Paradise today, visit rebecca @ http://corazon.typepad.com/. ~ by Dawn Elliott on January 13, 2013.
i love a man in an apron, and when the man is a saint to boot, well what could be better? 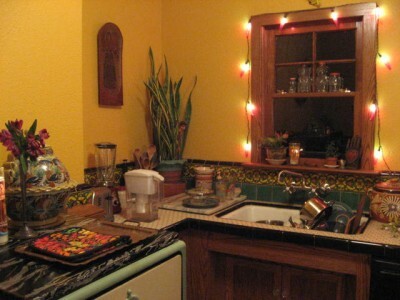 love seeing your gorgeous kitchen, bravo Mr. E for the saint, sensitivity and a kitchen that encourages the miraculous! What a great gift! I could probably benefit from several kitchen saints. I love this little glimpse of your kitchen, do I see an old kitchen stove peaking out there? Love those! San Pasqual has found a lovely new home. It is awesome Dawn. Love your kitchen. It’s so cheerful. San Pasqual will be helping you dish up some wonderful celebrations. I like the idea of a kitchen saint adding a bit of paradise to an otherwise ordinary room of the house! Oh I love him! Did he come with recipes from paradise too?